Eric Hoffer, the famous writer, anticipated the tone and language of the 2016 campaign and the post-election hysteria. This OP ED, by Reuven Brenner, appeared in the Wall Street Journal on February 27, 2017, shortly before Trump’s “best ever” first speech to Congress. I paid close attention because my Thriller Novels have twice been finalists for the prestigious Eric Hoffer award. A thriller has never won this award, and to even be a finalist is a great honor. Here is a link to my awards, here is link to the WSJ article, and here below is the text of the article. In fact they were published in November 1970 and written by Eric Hoffer, the “longshoreman philosopher,” who was best known for his slender 1951 classic, “The True Believer: Thoughts on the nature of Mass Movements.” The 1970 essay, under the headline “Whose Country Is America?,” eerily anticipated not only the political events of 2016 but the tone and language of last year’s campaign and the anti-Trump hysteria since Election Day. He attributed those developments to the “ordeal of affluence,” which threatened social stability. Wealth without work “creates a climate of disintegrating values with its fallout of anarchy.” Among the poor this takes the form of street crime; among the affluent, of “insolence on the campus”—both “sick forms of adolescent self-assertion.” As a result, “‘men of words’ and charismatic leaders—people who deal with magic—come into their own,” while “the middle class, lacking magic, is bungling the job” of maintaining social order. No historian, political scientist or journalist of the past 60 years has predicted the current moment with such accuracy. Others should have. Behind Hoffer’s analysis is a view of history that dates to ancient Greece, especially to the historian Polybius. It’s a warning that affluence condemns younger generations to political decline unless institutional checks and balances, combined with education for civic responsibility, are rigorously preserved. The Founding Fathers were mindful of that danger. The checks and balances they devised were designed to avert long-term decline, not merely short-term abuses of power. John Adams devoted a chapter in “A Defence of the Constitutions of Government of the United States of America” to Polybius’ discussion of the theme. During the Constitutional Convention, Alexander Hamilton drew on this view too. At one point Benjamin Franklin expressed frustration that the convention had diverted too much into debates about Greek classics. What finally upset the delicate balance that the Founders had set? Polybius left a place in world affairs to Tyche, the goddess of chance. Not for the first time in history, demographic change played that role. Whether the shock of the Trump election will yield a rebalancing or a further unsettling, time will tell. Hoffer concluded: “We must deflate the pretensions of self-appointed elites. These elites will hate us no matter what we do, and it is legitimate for us to help dump them into the dustbin of history.” Most surprising today may be where this sentiment appeared—in the pages of the New York Times. Mr. Brenner is a professor at McGill University and author of “History: The Human Gamble” (1983) and “The Force of Finance: Triumph of the Capital Markets” (2002). This entry was posted in Actionable, Constitution & Gov, Non-Fiction, Novels and tagged Educational, Ethics, Exceptionalism, Guest Author, Heroes, Tyranny. Bookmark the permalink. 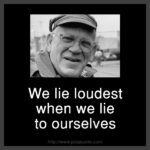 We studied the “True Believer” by Eric Hoffer, at Princeton. It was part of a course called Politics 312 – Public Opinion. Of note, other people in the course were Don Roth, with whom I played lacrosse, who was Treasurer of World Bank. The other person who played lacrosse with us both was Bob Mueller (see attached – a personal letter) former head of the FBI. The other person who took the course with us was Bill Bradley, All-American basketball player, Rhodes Scholar, New York Knicks pro basketball player for 10 years, Senator from New Jersey, and presidential candidate. The other book was LeBon’s The Crowd….very insightful. Reuven Brenner’s thoughtful “The ‘Longshoreman Philosopher’ Saw Trump Coming in 1970” (op-ed, Feb. 27) might say more on what it was that upset the Founding Fathers’ “delicate balance” of checks and balances, thereby leading to President Trump’s populist revolt. Neither demographics nor mere chance, but the progressive movement itself was the cause. An American outgrowth of German philosophy, progressivism’s purpose, however disguised, was to repeal and replace limited government with an unlimited administrative state. For over a century, progressivism worked on this project. It was on the verge of completion when Donald Trump stepped in. Progressivism challenged the Declaration of Independence’s “self-evident” truths that all human beings are created by God with equal rights and that government’s purpose, limited by popular consent, is “to secure these rights.” Progressivism embraced the opposite idea: Rights are disposed by history, not given by God or nature; an elite trained in social and natural sciences should rule the people who lack this knowledge through a bureaucratic or administrative state; popular consent retards progress in science’s endless transformation of America. Eric Hoffer, the “longshoreman philosopher,” discerned the developing disorder but perhaps didn’t see that progressivism is the true believers’ conspiracy against government by the people. Noonan on Trump’s Rise — This column won a 2017 Pulitzer Prize. Well stated and my only critique would be this: in 1960 the media actually elected a President named Kennedy which marked the liberal media’s inauguration! I felt this shift in fifthe grade as my political “shoe-in” candidate Nixon was stunned by his unpredictable loss! That loss dealt by the ‘cowardly new world’ of television, I believe, was the real reason for Nivon’s paranoia! Kennedy perceived Nixon as a “man uneasy in his own skin”; but it was more likely that Richard couldn’t comprehend the rising influence of TV reporting and it’s incessant “sound bites” !!! Instead of declaring “I’m No Crook”; Richard should have pointed ,as Trump does, his crooked finger at the empowered media to expose their “protected class” power of the press-TV”!